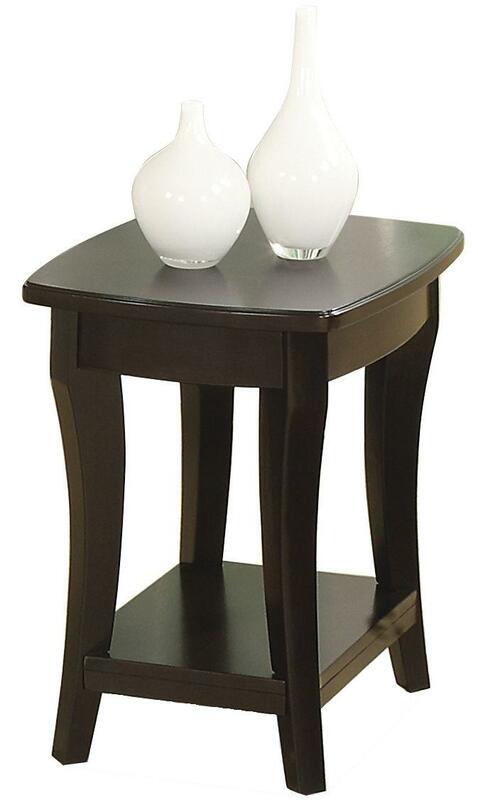 Add a smart living room accent piece to your home with this rich chairside table. 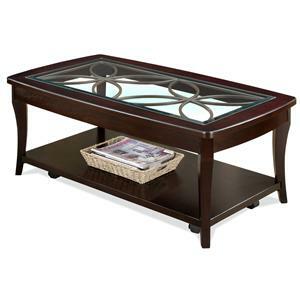 Featuring a deep Dark Mahogany finish, glass top insets, with metal fret work underlays, and bowed and contoured table legs, this piece is as functional as it is beautiful, as a perfect furniture addition to the living room in your home. 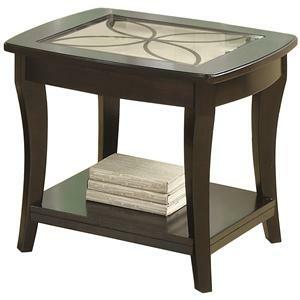 The Annandale Chairside Table by Riverside Furniture at Hudson's Furniture in the Tampa, St Petersburg, Orlando, Ormond Beach & Sarasota Florida area. Product availability may vary. Contact us for the most current availability on this product. Drawer Suspension Ballbearing extension guides. 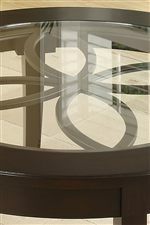 Description: Top Finished tops, and glass insert table tops with metal fret underlays. Case Construction Constructed of hardwood solids with Birch veneers, and glass inserts with underlayed metal fret work. The Annandale collection of occasional tables and media units us designed with stylish function in mind, adding an intricate and distinctive group of storage and display pieces to the living room in your home. Outfitted in a Dark Mahogany finish, this collection creates a rich and elegant appeal, while the glass top inserts and metal fretwork underlays add a subtle but important note of classiness to this entire collection. Add a smart look to the living room in your home, with the comprehensive Annandale collection. The Annandale collection is a great option if you are looking for Traditional furniture in the Tampa, St Petersburg, Orlando, Ormond Beach & Sarasota Florida area. Browse other items in the Annandale collection from Hudson's Furniture in the Tampa, St Petersburg, Orlando, Ormond Beach & Sarasota Florida area.